Our special event by practitioners for practitioners. 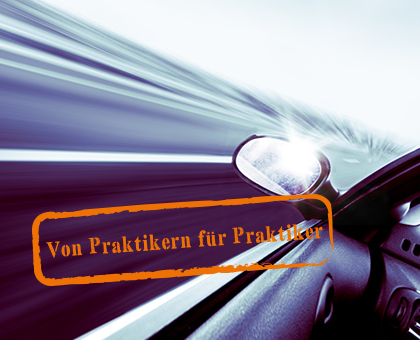 Every two years, amotIQ automotive invites you to a special event: „Von Praktikern für Praktiker“ (“By Practitioners for Practitioners”) – this is the exchange of experts on current JIT / JIS topics and projects between experts as well as about the use and further development of amotIQ JITplant. Two days in which practitioners talk shop with each other and still have time to exchange information and relax – all within a comfortable atmosphere. “Von Praktikern für Praktiker” offers many high-quality and interdisciplinary guest- and expert lectures about scientific subjects as well as a panel discussion with experts of amotIQ JITplant. Experts from the fields of automobile manufacturers, suppliers and service providers present their current strategies. Our guests have the opportunity to share their valuable experiences in discussion groups and to discuss about the chances and risks of JIT/JIS. The event offers all guests, business partners and customers the opportunity to ask critical questions about JITplant, exchange experiences with other amotIQ customers and have collegial discussions within a relaxed ambience. 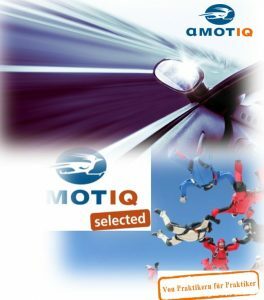 It is a chance to learn more about amotIQ automotive and the amotIQ JITplant team. Our customer event „Von Praktikern für Praktiker“ is also a „Thank you“ to all our long-standing, loyal customers. amotIQ selected, our series of events with a long tradition. It is a small and subtle conference exclusively for all customers and business partners of the entire amotIQ Group. The exchange of experiences takes place annually and in selected locations. Our guests will experience an informative and relaxed day with selected topics around SAP, logistics, and processes to which experts from the ranks of our customers hold lectures. During the conference our guests are invited to exchange views in small groups. The special features of amotIQ selected are not only the selected speakers from among our customers, the exciting topics or the typical amotIQ character of the conference, but the guests themselves! As an expert in his field, each guest contributes significantly to the high-quality exchange of experience. During our lunch break, we offer the participants of the conference exciting and relaxing diversion to keep us all fit and active for the afternoon –That is a typical trait of amotIQ. Whether it is a flight simulator, a golf course or a factory tour – amotIQ guarantees an exciting break. Every year our guests can look forward to an informative, relaxing day, which offers the opportunity to exchange ideas with other amotIQ customers and to experience amotIQ live and at first hand.